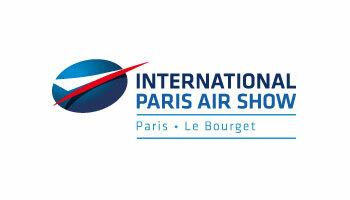 June 16, 2015, Paris Air Show, c. Leeham Co. Dueling forecasts between Airbus and Boeing became a bit of a sideshow yesterday, with the differing projections for the Very Large Aircraft (VLA) market coming up at the Airbus Global Market Forecast press conference and in our interview with Kiran Rao, EVP Marketing and Strategy for Airbus. John Leahy, chief operating officer for customers, continued to project a 20-year demand for the VLA-Passenger sector at 1,200. Boeing’s forecast for the VLA sector, including freighters, is 540. Leahy, remaining consistent with his arguments over the last decade or more, said the forecast is based on passenger growth that doubles every 15 years, which will drive congestion at major airports across the globe where new airports can’t be built and new runways are unlikely—such as London Heathrow and Paris Charles de Gaulle. This will require VLAs to carry the demand. A reporter asked Leahy about the disparities between the two forecasts and suggested Boeing was correct. Leahy asserted Boeing is “wrong” in its forecast. We asked Rao about this when we interviewed him later in the day. A five day old Airbus A380 delivered to Qatar Airways five days earlier was on display at the 2015 Paris Air Show and open to media to reveal its opulent interior. Photo: Planespotters via Google Images. Rao said the market will “move on. We all still think of the A380 as a brand new airplane.” It’s been in service since 2007, after a two year delay. “We are getting to 10 years of operation soon, and we toward the end of the decade and we have to look at new opportunities as to how we improve the airplane. The airplane will have a life for another 20 years. Because the A380 is 10 years after what should have been EIS, considering a re-engining isn’t necessarily unusual today. The Boeing 777-300ER entered service in 2004 and 10 years later, Boeing made the decision to launch the 777X, with a new engine, a new wing and other new features. ← ATR selling their 1,500 ATR turboprop to Japan Airlines. Airbus was always good at copying Boeing. Situation: the A380 doesn’t sell well. Although the seating capacity of the 777-9 is definitely at the bottom end of the VLA category, I don’t believe it falls into it. That said, Air Canada pack 458 pax into its B77W aircraft (hell in the air if you ask me), and that is 51 MORE seats than Korean Air gets into its A380. I think the VLA segment is for aircraft designed to carry 500 plus pax, so even the B747-8 is not really a VLA. Air Canada pack them in, mainly by operating mostly economy seats and a small business class. For an individual economy passenger the experience is the same and not affected by more spacious and expensive seats up front. Legally the 777-9X is a VLA. That would mean that either Boeing forecast for VLA is wrong, either the 777X market is narrow. IMHO, the 777X is not a VLA. Anyway, it doesn’t mean anything. Precisely my point, either Boeing has very limited ambitions for the 9x or they concede that the a380 has just about enough headroom to continue as a programme virtually unopposed. I don’t think you will ever see anything like 400 seats in a 9x in normal airline use. I think you will see 400 pax aircraft congifs more often than not. You just have to look at the way 10 across seating has become the new norm for the B77W – heck, Air Canada squeezes 458 pax into its B77W aircraft, and that is 51 seats MORE than Korean Air puts into its A380. Market definition is always a way to market. Like the all new 7M7 or MOM. Well middle of the market could also be the middle of nowhere (MON) for a 7maybe7. The 777X can not be a VLA according to Boeing because Boeing predicted that market to be very small. Also according to Boeing the 777X offers more than 400 seats. Lufthansa has about 390 seats on its 747-8i and around 500 on its A380s. So the A380 offers about 25 % more seats than the 777X. That is about the difference between an A320 and A321. Didn’t the market moved on to the bigger aircraft versions? Careful there – you are comparing wikipedia numbers to reality. Yes, the 777X can fit 400 people – but in reality will it? Using Emirates as a baseline, I’d reckon ~370 is about nearer the mark. In contrast, the Emirates A380 is 489-517 seats. Thats 30-40% more seats. Emirates operates its 777 with 354 or 360 seats. Add 3 rows of economy for the X and we will reach 390 seats. Emirates A380 have 489 or 517 seats. That is about 30 %. Then also add the new 777 interior proposed for the last to sell 777 classics with 14 more seats. That will make more than 400 seats for Emirates 777-9X. 28 % would have been more correct. Well inside the size range between A319 to A321. So the A380 is not that much bigger than the 777-9X. I recognized here and on other occasions it hurts some people that the A380 is indeed bigger. The cabin area of the current A388 is about 54 percent larger than the cabin area on the 777-9X (i.e. 545 m2 vs. 355 m2). A 5 frame stretched A380-900 would have a cabin area that would be agbout 582 m2; or about 64 percent larger than the cabin area on the 777-9X. Hence, it doesn’t make any sense to compare the 77W/779X with the A380 – using EK’s configurations as the datum, since we’re talking about two different product standards (i.e. 17″ seats vs. 18.5″ seats in Y; 2-3-2 in C vs. direct aisle access from every business class seat on the A380; and a bar/lounge area on the aft upper deck on the A380 vs. hanging-around-the-toilets-if-you want-to-socialise, on the 77W/779X, etc.). Instantly you are assuming that 3 rows will go into economy. This is exactly the same problem with the wikipedia numbers. You are comparing apples with oranges. Furthermore, you then grab proposed seat floor plans that are not in use. At this point you are comparing apples to ice-cream. The reality is 777 users stuff people more dense inside their aircraft than A380 users do it. Even airlines operating both aircraft do it like e.g. Emirates. My point is even the 777 is getting more space for seats and the 777-9X will have further more seats. The gap between the 777 and the A380 is shrinking. Boeing on side promotes the 777-9X as a 400+ aircraft and on the other side tries to tell us the VLA market is not so big. How big is the market according to Boeing for the 777-9X? What is the 777-9X? Maybe just a small VLA. An A330 can carry 100 % more pax than an A320. An A380 can carry 100 % more pax than an A330/A350. There is no such big gap between the 777-9X and the A380. Airlines trend to order A321 in stead of A320 or 737-8 instead of 737-7? Why not A380 instead of 777-9X. The VLA threshold was just made up by Boeing. This definition is there to make people believe the A380 will not capture 777X market space. Just like Boeing tries to show the A350 is much smaller than the 777X. The 777X is a unique aircraft – trust in me! How to compare apples to ice-cream? Get the core out of apples. Freeze them and make sorbet. How airlines uses available cabin space will wary greatly, even within an airline and across different aircraft models. It all comes down to business decisions including which routes an airplane model will be used on, hence number of business seats, toilets etc. The cabins of all modern aircrafts from Airbus and Boeing can be configured quite freely. For me it is better to compare usable cabin space in square meters or feet. The A380 is in a league of its own when it comes to size. It is the size of an 777 on the main deck and an 787 on the upper deck, and can be configured with 865 seats all Y-class. With all the talk about MOM, 757 and A321lr nowadays, I must say that the 757-200 and the A321 both have 127 m2 of cabin space. Some tend to give the impression that the 757 is lager, again with reference to wiki numbers. I too would put the 777-9X as a VLA. After all, it is aimed at being the a replacement for the 747-400 by many, is it not? Now Boeing are saying the 777-9X is a 413 pax over 8000km. They have dropped the range down 200nm. In the end It will be the market that determines the need and success of an aircraft. The Rao’s, the Leahy’s and the Tinseth’s are little more than used car salesmen putting a positive spin on everything . . . Think about it, would you buy a used car from any of these characters? BTW, I sometimes think Leehmannews falls for this rhetoric and it shows in some of the articles – be careful guys . . .
IMHO the mkt is trying to sort out, What is the largest wide body that airlines want that the OEMs can produce in sufficient numbers to make a profit? The numbers are all over the place. The 779-X is a seat-for-seat replacement of the 744, yet some 744 operators have not to date ordered it. Delta is replacing their 744s with A359s, United started out doing the same, but has now up-gaged to -1000s. Virgin Atlantic is replacing their A346s and 744s with 789s, at least n LHR to Hong Kong. Singapore has gotten rid of their 744s and seem to be content replacing them with -300ERs. And if memory serves, Leahy has said (conceded?) that the mkt for 400 seaters is not big enough for A to compete with the 779-X. And what will the airlines do with the hundreds of -300ERs as the begin to replace them in the next decade? Up-gage to the 779-X or not? If they don’t up-grade, then they will likely buy the A59/1000 but the hundreds because, so far at least, the 778-X has not sold well. The irony, or perhaps idiocy, of it all is that Boeing has no offering in 350–360 seat category that competes wit Airbus’ offering, thereby handing to Airbus the near monopoly that they have enjoyed with the -300ER. Could Boeing make a lighter 777-8X derivative with a reduced range to be more competitive with the A350-1000 for that purpose? It appears the big question for the Airbus people is to decide when to update the A380, not if. 1) Within 1 to 2 years time RR could supply a “9000” engine, similar to the 7000 of the A330NEO – reduced core, increased fan. Not a bad solution and the investment would be the smallest. 2) End of this decade the RR Advance might become available and would improve the fuel burn quite a bit more. Such a timing would also allow to reduce the size of the tail, develop new winglets and reduce weight by introducing some more CFRP’s. 3) Early in the 2020’s, the A380 could be the first plane with the geared Ultra-Fan. The extra time could be used to develop a carbon wing box and/or substancial parts of the fuselage. A hard decision to make. Even the airlines might be hard put to name the best option. What do you think? I think the limiting moment is the backlog. If orders are not picking up very soon, Airbus has to react with an upgrade or accept loosing the whole program. With the current backlog the early 2020s are to far out in the future. That would be a hell of a production gap. Impossible to fill. The rumored discusion about a “slight stretch” could be the key idea. What about a two-step upgrade plan? When could a straight stretch with some low key improvements be available to airlines? Would it be attractive enough to sustain the A380 production for some more years? And is it worthwile the costs? These years could bridge the gap until availability of a new engine that is actually makes a NEO project a sound business case. The backlog for the A380 stands at roughly 150. Given a steady production of 30 per year they have 5 years to go. If a new version comes, some customers might want to swap their order, so the very important quesion is will they receive some new orders for the current version. The other question is when will Airbus have the R&D capacities free. Probably not before next year, which is maybe why they don’t make a formal decision before that, but further test the market. Still, the question remains: will they go lean (1) medium (2) or full throttle (3)? Assuming Boeing’s right hand knows what Boeing’s left hand is doing, actually Boeing are forecasting the production and delivery of total FORTY (40) types A380 or 747-8i (VLAP) or two units combined per annum in the period 2015-2034 … that number is ridiculously, ludicrously, inconsistently low, wherefore my conclusion is that Kiran Rao is correct when he proposes that Boeing are wrong, C.Q.F.D. Exactly. Can Airbus and Boeing figure out when Cheryl’s birthday is? Doesn’t matter – Cheryl’s head is turned by the Rafale’s sophistication and its lovely french accent – they had their chance and blew it. Now Airbus are raging ‘cos she’s going out with their geeky cousin. Boeing are just jealous. In the last 2.5+ years there have been 2 orders for the A380. Emirates’ 50, and Amedeo’s 20. Amedeo can’t place them, and existing customers aren’t exactly clamoring for more new ones. In addition EK’s and SQ’s will be popping up on the secondary market soon enough. Color me skeptical on 1,200 VLA’s, unless the 777-9X is one (I say no on that) and it sells close to 1,000. Equally skeptical on the 500ish BCA number if the 777-9X IS a VLA. That should be on the low side if you include A380neo or A389 and the de minimis B748 variants, and absurdly high if it’s not a VLA. What is SQ going to replace theirs with? Either its not working and nothing or they will keep flying them. What nobody mentioned here is the big difference the 777-300ER has against the A380 in cargo capacity as of today and, the even bigger the 777-9 will have. Payload, not volume. Its perfectly ok for me to ignore that, but not for airlines. Thats a good point, carrying all that payload on one engine has to be accounted for in flight planning. I don’t think that the 777-9x or the the A380 why’ll do much better that they already did. The same legacy carriers of Asia, Middle East, and to a smaller extent Europe, will buy the 9-x or future versions of the A380. NEWSFLASH: even the 777-300 ER practically did not sell in the US until the very end of the planes life cycle so there is no reason to believe that the 9x of A380 will sell I the US anytime soon. An A350-1100 is needed to eclipse the 9X. They are probably just waiting for the new RR Advance/Ultrafan to define itself while watching the development of the 9X into life. At some point , a new bomb will be dropped with a stretched -1100 with new engines and and the a380 neo all once. If Airbus really believes they can sell 1,200 passenger VLA’s over the next two decades, they should match Boeing’s improvement to the 777 with a new wing on the A380. No airliner would benefit from rewinging as much as the A380. Unfortunately, that 1,200 figure is BS. They have a monopoly in a space that is almost a quarter of the widebody market, goes their claim. That’s better than having two programs (330/350) split the rest of the widebody market. But they’re not exploiting that market because they don’t believe in the A380 half as much as they claim. If they did, they wouldn’t be half-assing it with a NEO and small stretch, they’d be going the whole hog with a new wing. An optimized A380 produced at monopoly pricing, 60/year, would make $billions. As I keep saying, within a few years and sooner than later, climate change will become a major driver in airline and airplane company planning — forced by government and public opinion as well as growing awareness in the industry. Carbon dioxide generation from burning fossil fuels in scheduled commercial airplane operations must be reduced. Among other things, watch for an imminent finding by the US Govt. EPA which will lead to some action and the imminent encyclical from Pope Francis which will be influential in public opinion. Large people-carrier international aircraft will have a role in reducing fuel burned per seat mile . Let’s see a comparison of improved A380’s and 777-9X, both operating with mainly economy seating. Seriously? Talk about pot/kettle! The big problem at Airbus is they are stuck pushing this white elephant. If it’s the “perfect” airplane where are all the sales? I swear listening to these guys sometimes make one wonder if they have flown into fantasyland. Thats around 15 years of steady as it goes about 2 deliveries per month. White elephant ? This isn’t the good old days when the 747 was the only game in town when it came to ultra long range (which was what sold the aircraft, not it’s size) They can keep clinging to that hope but the order book is showing it will never even come close to turning a profit. The era of four engined craft is over. Boeing could get what they wanted for the 747 as noted, only game in town. Now if Ameadus could just convert those A380s to freighters. @ Jim Krebs, re US Presidential FINDINGS & Pope ENCYCLICALS : for freighters, the marker in the wind @ InTraCen is CO2 per kg-of-food.kilometer, which for Paxliners corresponds to CO2 per pax.kilometer. If these numbers were compilated, Airbus wouldn’t need a photo to be acclaimed the clear winner and the A380 would gain ecclesiastic momentum and presidential approval, for the good of American, United and Delta ! Maybe Russia has a problem to acquire more ANs from Ukraine. Part of the deal may also to ship the huge GN9X around for Boeing. GN9X’s fan diameter is going to be 133.5 inch. That will not fit inside a 747-8F but easily inside an AN-124 or A400M. Guys, orienting the VLA on the number of installed seats is a bit short-sighted. It is like orienting on the number of tires for categorizing an aircraft as heavy. I would tell by the usable cabin floor area. This number correlates to the number of possible seats. The A380 has 480sqm, and as such 40% more than a B747-400 (which then ends up at 345sqm). I would set the threshold at 400sqm, which translates roughly into 400-seat aircraft in a long range 3-class seating. This forumist proposes to stay away from sq.ft or sq.m of floor area onboard the various aircraft as a basis for relative size pitching. The reason for my aversion for this criterion is that is causes a loss of perspective … An aircraft is in reality TWO aircraft in one, a paxliner on main deck and a ULD-liner on lower deck. The “SIZE” of an aircraft is given by its revenue potential. Belly-freight is revenue. Therefore, overhead stowage compartments for carry-on luggage into the cabin implicitly is a revenue-generating feature, because the more COL, the more free space downstairs which may be turned into cargo revenue. At the end of the day, the revenue potential of any paxliner is proportional to the FUSELAGE VOLUME of main + lower decks, not simply the floor area of main deck. This little distinction is the economic thesis behind H2XQR Series. And when classifying the A350-1000 (44 LD3 positions) or 779 (48 LD3 positions), these aircraft become much bigger than they are generally considered in first level analysis. The effective capacity is the cabin capacity plus the virtual lower deck capacity in equivalent cargo revenue potential based on the YCff-to-cuft-of-freight equivalence factor, where YCff is the full-fare Economy class ticket yield. Let’s say that after CIL (checked-in luggage) 27 LD3 are available for payfreight in the 779, one LD3 fetching the same revenue as 8 full-fare Economy-class passengers, so the virtual pax equivalence of lower deck is 8 x 27 = 216 virtual pax, add these to main deck capacity (say, 394) total 610 aggregate pax, which we now may compare with the A388 of 525 + 8 (free LD3 after CIL) x 8 = total 589 aggregate pax … we conclude that the bigger aircraft of A388 vs 779 is the WB not the VLA. Surprising but alas ! perfectly true ! Whence the correctness of the idea to stretch the A388 to make it an A389 : it makes sense, because the A388 is penalized by its limited overall fuselage volume. CQFD ! While the above is amazingly confusing I think the conclusions right. VLAs have 4 engines (now) and WB have two engines. The 777 is definitely a heavy wide body verging on but not quite a VLA. On the other hand if someone wants to call it a VLA I don’t care, but I think its a different segment. As noted fright is part of the equation on flights though that also depends on the range. That may be what limits the A380 as its good long range capability means no belly freight (or limited). Each operator has a different route profile so you can’t make one statement fit all as the ultra long has its trade offs the shorter ones do not. In reality its all semantics and who sells more aircraft and gets the most money for it is what counts not silly word spinning. It does provide some entertainment.